Travel through the breathtaking countryside featured in "The Sound of Music"
Our drive through the Chiemgau gives you a beautiful view of the Lower Bavarian Alps. 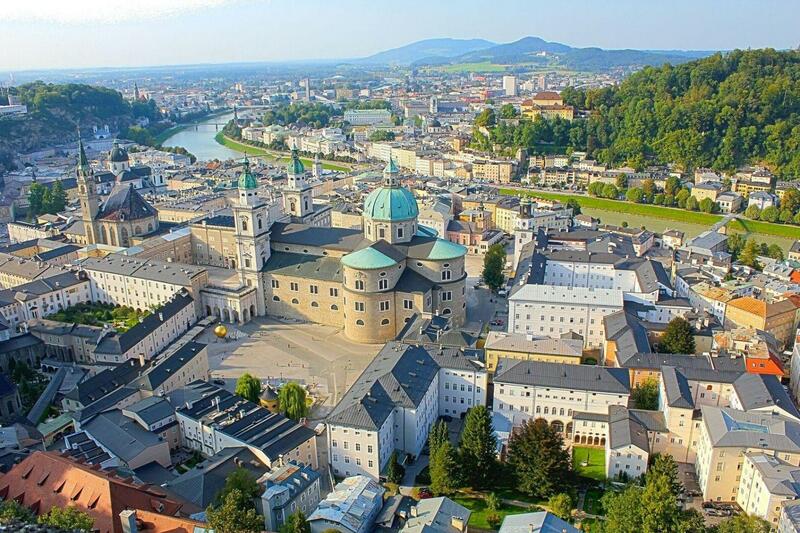 In Salzburg, the city of Mozart, we will have enough time for shopping and a walk through the picturesque old city. On Lake Wolfgangsee, you have the opportunity to take a boat ride to the White Horse Inn and the Pilgrim Church. Then travel past Lake Mondsee (scene of "The Sound of Music") on our return to Munich. Everything was great. Wouldn't change a thing. Salzburg and wolfgangsee lake is worth visiting. Beautiful scenery. Thanks for the great day! Loved the tour! Guide and driver were great! The scenery was beautiful. I just wish the tour was an hour longer to add 30 minutes to Salzburg and 30 minutes while in the little town next to the lake. Loved Salzburg and the boat ride. Perfect day! Thank you! It was worth it to join this group tour.